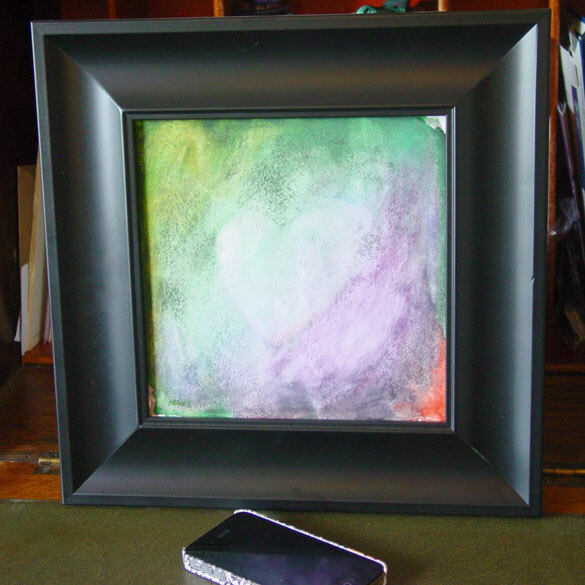 This painting is awfully bright and whimsical to be a reference to Poe’s famous short story, but the name somehow fit anyway with the way the heart is just barely defined by a few telltale strokes of the brush. I really like the non-rainbow progression of colors, and the rich textures trapped in the transition. I imagine this piece brightening up someone’s work space, providing inspiration and a grounding in kindness. 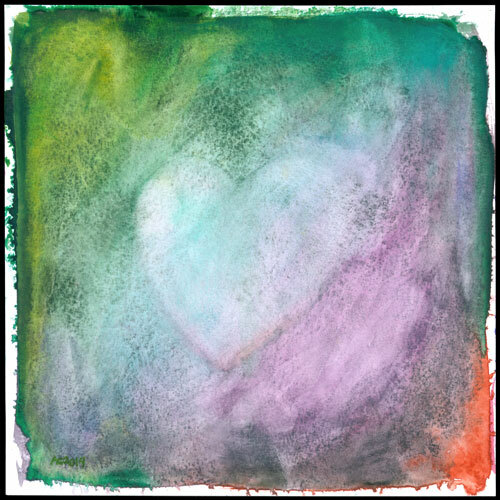 Telltale Heart, 8″x8″ watercolor on Fluid watercolor paper. 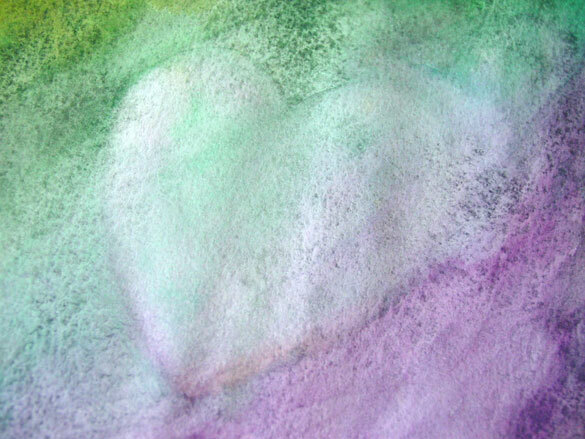 Above, you can see a bit of the texture on the painting, a mix of granulation, brush strokes, and subtle color shifts. Below, you can see it in a frame, just waiting to go to its new home.